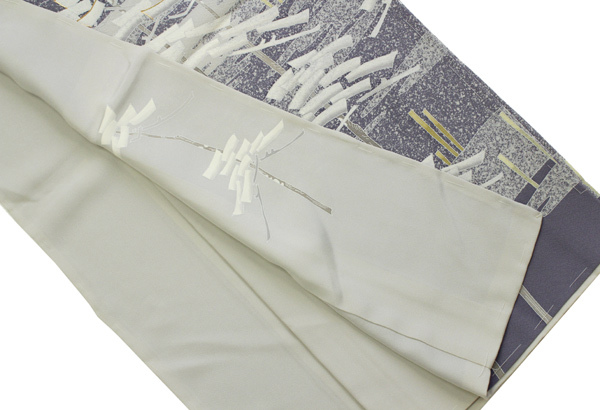 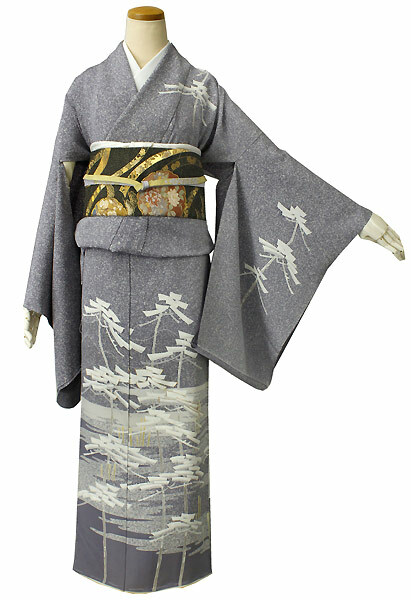 Commitment to taking traditional with new colors, Cang Xiang Takamura creation pursue their own world. 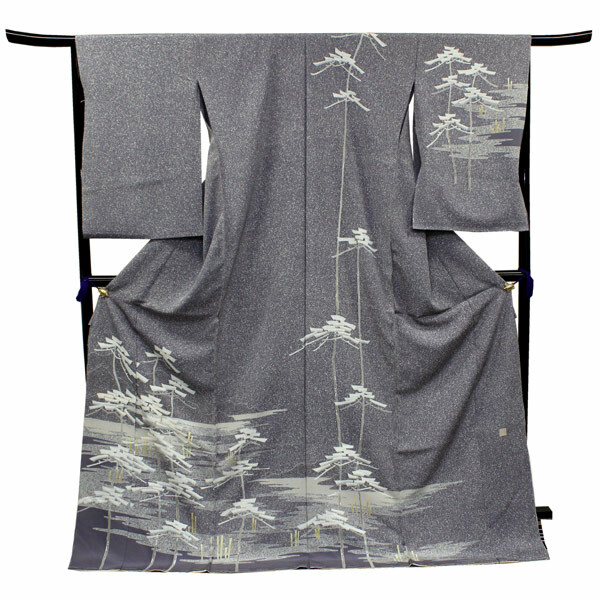 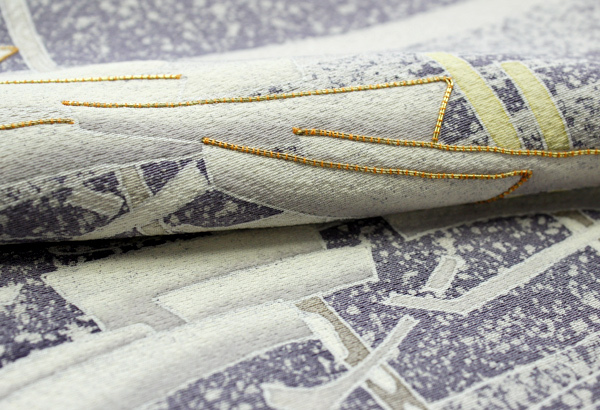 A little purplish-gray land seared white decorated throughout, tohaku "pine woods chart folding screen", and reminiscent of pine forest to abstracted, depicted. 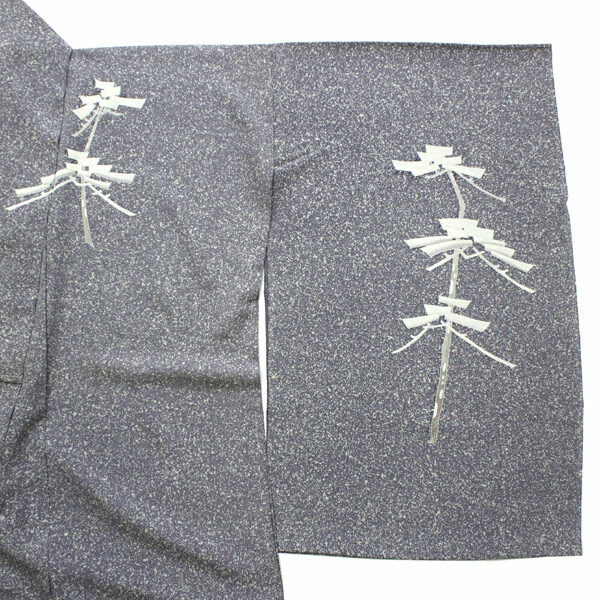 In some pine tree decorated gold piece embroidery. 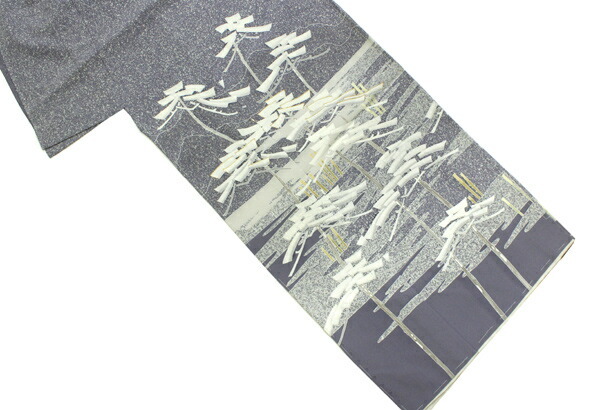 In the atmosphere, such as a string of pines in the snow dances, dignified, houmongi classy and trendy.